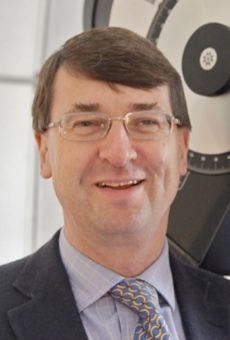 Roger Davies is the Philip Wetton Professor and Head of Astrophysics at the University of Oxford and President of the Royal Astronomical Society 2010-12. He grew up in Scunthorpe, North Lincolnshire attending the John Leggott School going on to read Physics at University College London. 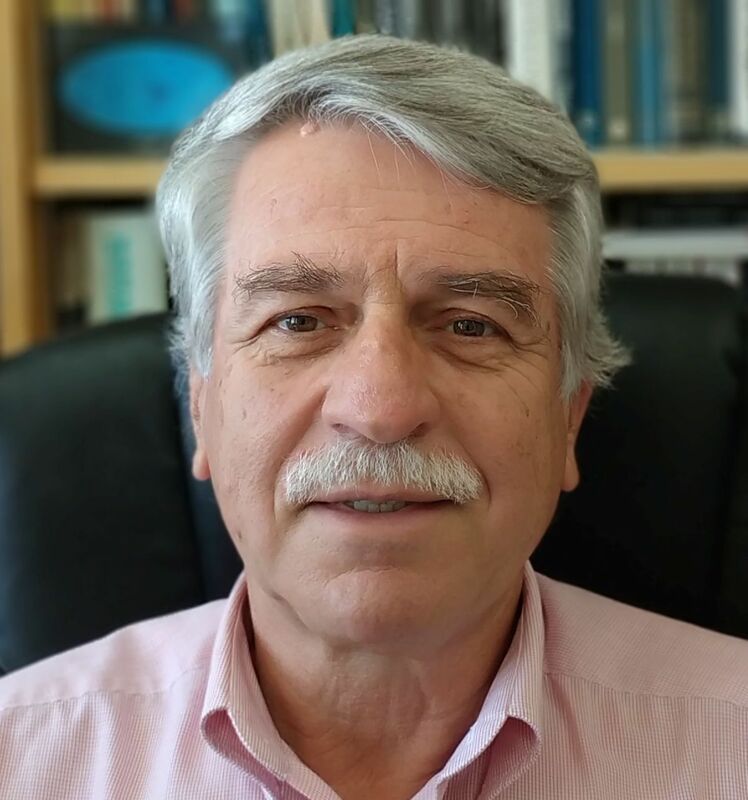 He started research working on galaxy dynamics in Cambridge in the 1970s after which he moved to California before spending 6 years on the staff of the US National Observatory in Tucson, Arizona. As part of the "7 Samurai" team he worked out a new way of measuring the distances to galaxies and discovered the "Great Attractor", a huge concentration of galaxy clusters in the southern sky. He moved to Oxford in 1988 to lead the UK's participation in the construction of the 8m Gemini telescopes, in Hawaii and Chile. In 1994 he took up the post of Professor of Astronomy at Durham University returning to Oxford in 2002 where he was Chairman of the Physics Department from 2005-10. His research interests centre on cosmology and how galaxies form and evolve. He has a longstanding interest in astronomical instruments & telescopes. In recent years he has pioneered the use of a new class of astronomical spectrograph to measure the masses and ages of galaxies, as well as search for black holes in their nuclei. Sofia Feltzing is a Professor of Astronomy at Lund Observatory, part of Lund University. She obtained her bachelor degree in Physics from Göteborgs universitet and went on to become a doctor of philosophy at Uppsala University. After a postdoctoral fellowship jointly at Royal Greenwich Observatory and Institute of Astronomy at Cambridge University she moved to Lund University as a research fellow. From 2005 to 2009 she was a Royal Swedish Academy of Sciences Research Fellow and she became a professor at Lund in 2010. She is currently the chair of the Science and Technology Committee at ESO. Her main research interest is the Milky Way as a galaxy, with particular emphasis on obtaining the best possible observational picture of the current status of the stellar system in our galaxy. Stellar spectroscopy of F, G, and K stars is an important tool in these studies and she has actively worked to realize the major European spectroscopic surveys that have been or soon will be launched to provide the crucial ground-based complement to Gaia. 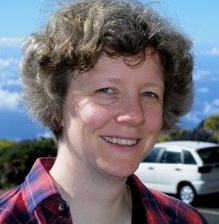 She is a member of the steering committee of the Gaia-ESO Survey (run on the VLT), a member of the science team for WEAVE (to be placed on WHT) and project scientist for Galactic Archaeology for 4MOST - a multi-fibre spectrograph to be placed on VISTA. Sara Lucatello works at the INAF Osservatorio Astronomico di Padova. She obtained her undergraduate degree and PhD from University of Padova, Italy. After postdoctoral work at University of Texas Austin, she was INAF fellow in Padova and later Excellence Cluster Universe fellow in Munich. 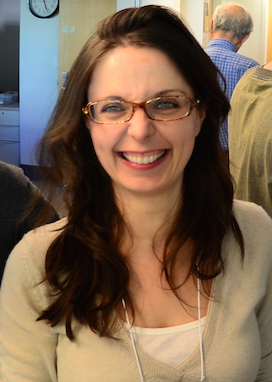 She joined the faculty at INAF Osservatorio Astronomico di Padova in 2006. She served as a member of the science teams in the SDSS surveys SEGUE-2 and APOGEE and is currently a member of the Galactic Archeology steering committee of European survey WEAVE, where she also coordinates the calibration teams. She has served as a member and co-chair of the Committee of Participation of Women in Sloan and as a member of the Committee for Inclusion in Sloan, the organs for diversity and equal opportunities in the SDSS collaboration. Her scientific interests focus on spectroscopic studies of stellar populations, the formation and chemo-dynamical evolution of the Milky Way and its subcomponents, large Galactic stellar surveys and Big Data in Astronomy. Emmanouil Angelakis completed his undergraduate studies in Physics at the Aristotle University of Thessaloniki. He conducted his undergraduate research at Jodrell Bank Observatory of the University of Manchester. After graduation he worked as a pre-doctoral research fellow at Northwestern University in Evanston (Illinois). He got his PhD in 2007 from the University of Bonn (Germany). After that he was appointed as a postdoctoral research fellow at the Max-Planck-Institut für Radioastronomie in Bonn (Germany). 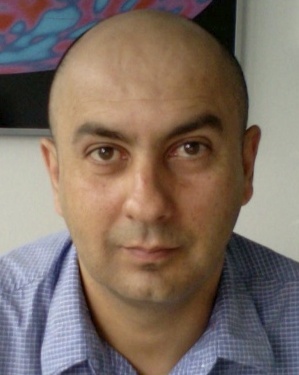 Since 2009 he is appointed as staff researcher at the same institute and as the Scientific Coordinator of the International Max Planck Research School for Astronomy and Astrophysics at the Universities of Bonn and Cologne. His main scientific interests focus on observational cosmology, pulsar astronomy, multi-energy AGN studies and multi-band polarization studies of extragalactic jets. 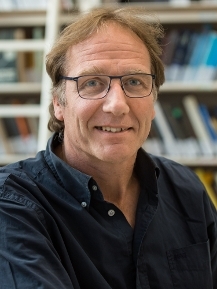 Johan Knapen joined the Instituto de Astrofisica de Canarias (IAC) in Tenerife, Spain, in 2006, and is currently the Head of the Research Division of the IAC. After doing his undergraduate degree in Groningen, the Netherlands, and his PhD at the IAC, he worked as postdoc in Montreal before joining the teaching staff at the University of Hertfordshire. He was promoted to professor of astronomy there in 2004, and remains a visiting professor at Hertfordshire. He is a multi-wavelength observer working on the evolution and properties of nearby galaxies, studying their dynamics, star formation, and interstellar medium. 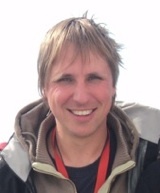 Lex Kaper is a Professor of Astronomy at the Anton Pannekoek Institute of the University of Amsterdam. He obtained his PhD in astronomy at the University of Amsterdam in 1993. He moved to the European Southern Observatory Headquarters and spent there 4 years as a (senior) postdoctoral fellow. In 1998 he was awarded a 5-year Royal Academy fellowship and returned to the University of Amsterdam. In 2005 he obtained a professorship at the Vrije Universiteit Amsterdam. His research interests focus on massive stars, their formation, evolution and fate. He is involved in the development of astronomical instrumentation: he is the NL-PI of the optical to near-infrared X-shooter spectrograph on the ESO Very Large Telescope an co-PI of MOSAIC, a multi-object spectrograph under development for the European Extremely Large Telescope. Lex Kaper is a member of the IAU Membership Committee and Secretary of the Nederlands Comite Astronomie. 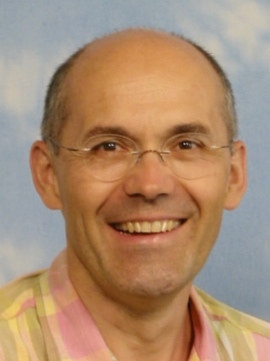 Andreas Burkert holds the chair for computational astrophysics at the Ludwig-Maximilians Universität München since 2003. He got his doctoral degree from the University of Munich (1989) and then went on a Feodor Lynen Fellowship to the University of Illinois, Urbana (1989-1990) and to the University of California, Santa Cruz (1990-1991). In 1991 he joined the Max-Planck-Institute for Astrophysics in Garching as a staff member and in 1995 accepted an offer from the Max-Planck-Institute for Astronomy in Heidelberg to build a new theory group. In 1995 he also received the Habilitation. Georges Meylan is a Professor Emeritus of Astrophysics and Cosmology at the Ecole Polytechnique Fédérale de Lausanne (EPFL), Georges Meylan was the director of the EPFL Laboratory of Astrophysics from 2004 to 2015. After a PhD thesis at the Astronomical Observatory of the University of Geneva, Georges Meylan was a postdoc at the University of California, Berkeley, USA, and at the headquarters of the European Southern Observatory (ESO) in Munich, Germany. He then held positions as "senior astronomer" at ESO in Munich and at the Space Telescope Science Institute (STScI) in Baltimore, USA. He was also a Visiting Associate, from 1999 to 2012, at the California Institute of Technology, Pasadena, USA. 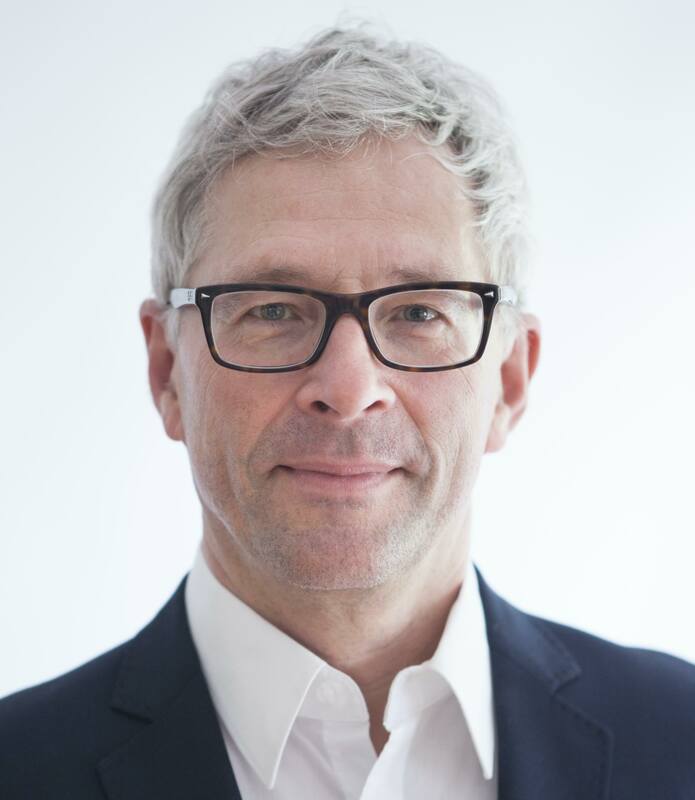 While at EPFL, he was, from 2008 to 2014, the scientific delegate for Switzerland to the ESO Council and, from 2006 to 2014, President of the Swiss Commission for Astronomy of the Swiss Academy of Natural Sciences. Georges Meylan's research focuses on observational cosmology, including the phenomenon of gravitational lensing, and on stellar and galactic dynamics. He currently delivers a course on the history of cosmology, open to students from all faculties of the University of Lausanne. Nick Kylafis was a postdoctoral fellow at Caltech (1979 - 1981) and at the Institute for Advanced Study, Princeton (1981 - 1984). Then, he was an Assistant Professor at Columbia University (1984 - 1985) before accepting an Assistant Professor position at the University of Crete in 1985. He was promoted to Associate Professor in 1989 and Professor in 1997. He served as Chairman of the Department of Physics from 1999 to 2003, as well as Dean of the School of Sciences from September 2008 to May 2013. During the period 2012-2016 he was a member of the Council of the University of Crete. He retired and was elected Emeritus Professor in 2016. Maarten Baes finished his PhD at the Astronomical Observatory of Ghent University in 2001 on the effects of interstellar dust on the observed kinematics of galaxies. After a postdoctoral fellowship from the Flemish Fund for Scientific Research that brought him to Cardiff, and an ESO fellowship in Chile, he returned to Ghent to become lecturer in 2004. In 2008 he became senior lecturer, and in 2014 he was promoted to professor. In his research he likes the combination of astronomical observations over the entire wavelength range and state-of-the-art numerical simulations. His main interests are the interstellar medium in nearby galaxies (with a particular focus on interstellar dust), radiative transfer and galaxy evolution. He has actively participated in the exploitation of ESA's Herschel mission, and is involved in the scientific preparation of several forthcoming instruments, including MIRI on the JWST, METIS on the E-ELT, and the Euclid and Athena missions. The EAS Office is hosted by the Department of Astronomy of the University of Geneva. Requests related to Individual Memberships are to be addressed to Ms. Marie-Claude Dunand. For financial matters, you can contact Ms. Martine Logossou. For all other matters please contact the Executive Secretary, Dr. Marc Audard.